So this isn't something I'm actually doing right now, but I started getting into this and wanted to share. I went to the Japanese food store the other day and I bought a cute bento box for Elijah so that I could start packing him lunches. 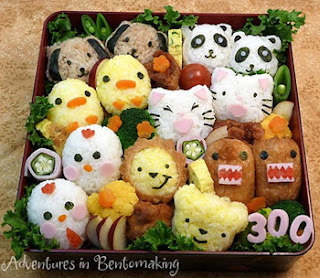 I remember when I was five and went to school in Japan and my grandparent's housekeeper would pack me and my younger brother bento box lunches for us everyday. 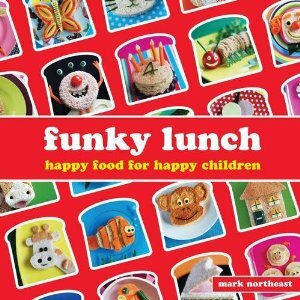 I loved them when I was young. 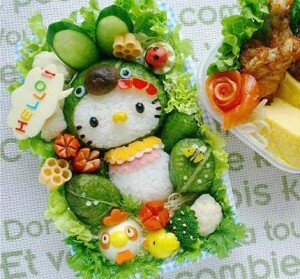 Nowadays, you can turn them into a piece of art (which I love). I already cut his sandwiches into fun shapes using cookie cutters that I have lying around the house, but I thought that this would be something fun for him and when he does start school, something nice that would add to his day and let him know I love him and was thinking about him. 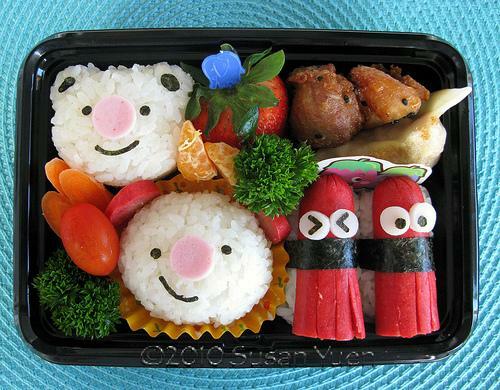 Plus, I think this would help me actually want to pack lunches for him everyday (something I need to be better at). So here are a few of the supplies I bought at the Japanese food store. 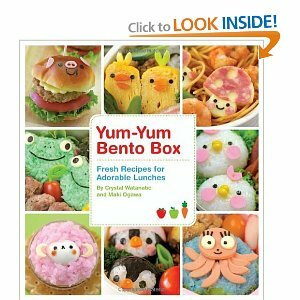 I also went online and purchased a few books that give recipes and tutorials of how to make the character bento boxes (kyaraben). And you don't have to do just Japanese food you can do all sorts of different types of food. 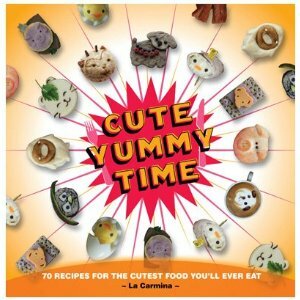 "Cute Yummy Time: 70 Recipes for the Cutest Food You'll Ever Eat"
"Funky Lunch: Happy Food for Happy Children"
I also found these blogs that are solely for bento boxes.